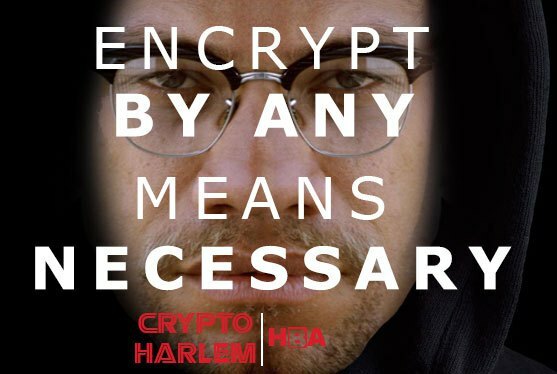 It's been more than two years since Harlem Cryptoparty made the connection between the struggle for racial justice in America and access to networks and encryption; the Trump election has strengthened that proposition, with a national network of Digital Security in the Era of Trump workshops where activists train each other on operational security. Networks are an important organizing tool, but they're also a COINTELPRO dream: all the surveillance targets, neatly arrayed on a social graph, with their information cascades on display, pointing big arrows at the most effective activists, whose communications and movements are laid bare by the technologies they trust to help them reach and mobilize their comrades. The question can't be, "How do we organize without technology?" Because the answer is, "You can't." The answer has to be, "How do we adapt technology so that the liberty-enhancing parts are intact, while the liberty-removing parts are excised? Leaving technology behind won't stop the state from using technology to track you -- it just stops you from getting the benefits of networks for organizing and mobilizing. It's great to see this work building on past organizing efforts, including the #blacklivesmatter interventions in 2016's Apple/FBI encryption fight over the San Bernardino shooters' phones. Malkia Cyril, who is a key organizer and activist, was recognized for their work last year at the Electronic Frontier Foundation's Pioneer Awards. If you're interested in improving your own operational security, some starting points are: Digital Security in the Era of Trump (Equality Labs); Harlem Cryptoparty; and Surveillance Self-Defense (EFF).